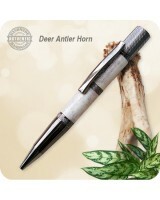 Everything handmade from Antler Horn! Beautiful rustic functional art! Everything handmade from Antler Horn! 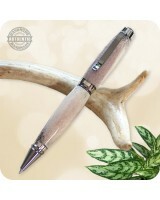 Beautiful rustic functional art handcrafted from naturally shed Deer, Elk, Moose or Caribou Antler. No animal had to die for their beautiful antler horns! 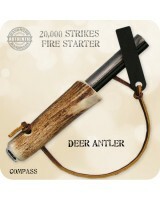 Looking for that unique gift for the hunter or outdoors person in your life? 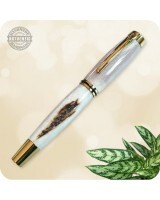 Why not take a piece of Nature home with you in the form of one of these antler Ballpoint, Rollerball or Fountain Pens, Fire Starter, Toothpick Holder Keychain, Game Call or something I will have to create yet. :) No two pieces handcrafted will ever be exactly the same, because the sourced antler changes even within the same antler rack, providing for different texture and coloration in each finished product. 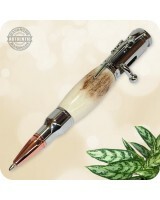 This is what makes every handmade antler pen or piece of art truly unique! 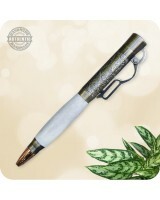 Deer Hunter Bolt Action Pen Handcrafted from Antler Horn - Hunting Gift Absolute Uniqueness! Wi.. 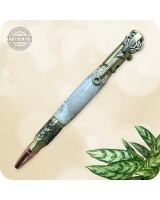 Bold and beautiful Cigar Ballpoint Twist Pen handmade from naturally shed Elk Antler Horn in nicel.. 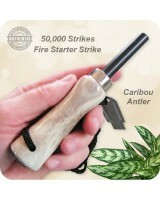 Here's a Survival Tool that may be a lifesaver for any hunter, camper or fisherman. 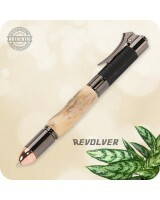 The Surviv..
Beautiful, large and bold Gentlemens Rollerball Pen handmade from naturally shed Deer Antler Horn .. Bold and extravagant, this Ultra Cigar Ballpoint Twist Pen is handmade from naturally shed Deer An.. 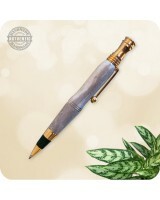 Handmade Moose Antler Horn Steampunk Ballpoint Pen in nicely contrasting Antique Brass with Copper..
One of the most eye catching ballpoint pens you will ever see. 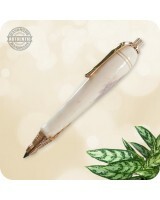 Meticulous attention to detail of t.. 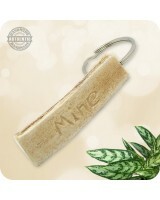 If you like rustic and nature all in one, then this handcrafted Deer Antler Horn Keyring Fob Keych..